*Wellington Gates Condos In The Heart Of Aurora! *Value Packed 1Br 1Bth East Facing Top Floor Suite W/Balcony! *Fabulous Flow For Entertaining W/Loads Of Storage Space! 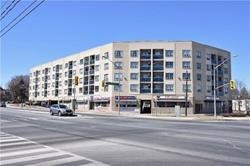 *Convenient Location Close To Go Station,404/400,Shopping+All Amenities! *Approx 626'! *Move Right In+Enjoy After March 7/19!